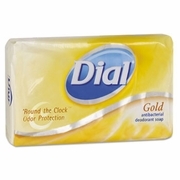 Antibacterial bar soap provides effective deodorant protection. Rinses clean to leave you feeling clean and refreshed. Protects and moisturizes skin. 72 bars per case/sold by the case.